At Timeless MedSpa, we understand how important it is for you to look and feel your best. That's why we offer medical spa services, as well as health and wellness services to enhance your appearance and target the cosmetic issues that plague you. Our skin, body, scalp, and hair treatments are designed to produce results that will leave you feeling satisfied, renewed and refreshed. And our dedicated staff pledges to treat you with care and respect. An overall well-rounded picture of today's working class, hurried-up lifestyles people. People are on the go and whether they are stay at home parents, retired, the business owner, the salesperson, or the bus driver, we all deserve to take care of ourselves with opportunities and choices that are not gimmicks. NOW, there is a place where you go can go that offers help and treatments from the inside out for the goodness, health, and beauty we all really desire. Where is your answer for this one place? The Timeless Med Spa...Where results are real! Timeless MedSpa, medically supervised by Dr. John Giroir, is the Premier Medical in Cenla offering a relaxing atmosphere while receiving the latest and greatest in skincare and body rejuvenation. Timeless MedSpa’s licensed, knowledgeable staff are here to offer you the finest spa and wellness experience available. We carry only Pharmaceutical and Medical Grade Skin Care product lines that, due to the low molecular weight of the product ingredients, delivery of hydration and repair to the dermis- which is where the building blocks of the skin are located. We feature facial treatments utilizing hyperbaric oxygen technology, which neutralizes anaerobic bacteria and also, with the help of the oxygen, gives a gentle push for the products to penetrate deeper into the dermis. This technology has been perfected by Intraceuticals, a favorite of many male and female celebrities who demand their skin look it’s best for the camera. Another all around, great product line is Image, a favorite among all skin types and ages, which has been named the official skin care line of the Miss Teen USA, the Miss USA, and the Miss Universe Pageants. Our other skin lines are very well known and speak for themselves: OBAGI, The Dr. Suzan Obagi Sensitive Care and Circadia, which is efficacy is based on the Circadia rhythms of your body. Our body care lines consist of Image products and Salt of the Earth. Let us offer you a customized facial using a combination of products designed to exfoliate, repair and rejuvenate the skin. Our services include, but indeed are not limited to: massage therapy, customized facials, hyperbaric oxygen facials, microdermabrasion, micro peels(of every choice and need), chemical and enzyme peels, Botox, Dysport and Dermal fillers and other injections for different filler needs, exfoliating treatments from head to toe (back to front), IPL (Intense Pulsed Light) laser hair removal and skin resurfacing, IPL spider vein treatments, and eyelash extensions with lash lifter, tinting and Long-Lasting Mascara. Don’t forget our Micro-pigmentation services which include MICROBLADING, permanent cosmetics for lips, eyes and eyebrows, areola correction, tattoo removal, tattoo correction, camouflage for skin imperfections, and stippling for covering baldness for men and women. For a mind and body treatment that is both revitalizing and relaxing, or to rapidly recover from strenuous activities, try out our Oxygen Bar and the IV THERAPY Bar for the ultimate de-stressor. Here at the timeless medspa we are constantly becoming more knowledgeable in our craft and always upgrading our equipment to better serve our community. 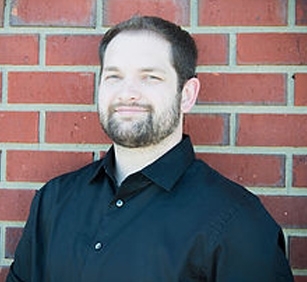 Dr. John Giroir, usually referred to as Dr. G, is also certified in the injectable world of Neurotoxins, BOTOX AND DYSPORT as well as all of the family of JUVEDERM AND VOLUMA PRODUCTS by ALLERGAN as well as all of the GALDERMA PRODUCTS, IN THE RESTYLANE LYFT, RESTYLANE L, REFYNE, DEFYNE, AND SCULPTRA PRODUCTS. Also, in VAMPIRE SPECIALTIES, THE O-SHOT AND P-SHOT, where Dr. G has been accepted as an instructor for the entire VAMPIRE SERIES. Recently Dr. G was also named to the advisory board for EUROTHREADS, named the #1 Skin /Aesthetic Procedure for 2018, as well as teaches this procedure along with the designer and owner of EUROTHREADS. Also, under the instruction and certification of world-renowned Urologist and PRP expert, Dr. Joseph Banno, Dr. G performs Low Energy SHOCKWAVE AND PRP TREATMENTS for soft tissue injury, repair, and rejuvenation. In the world of Aesthetics, Dr. Giroir is a leader in Central Louisiana in education and innovation. 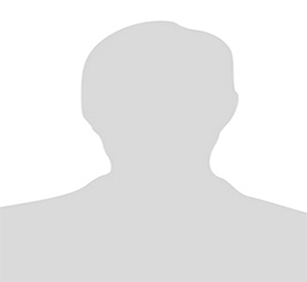 He loves his wife and family most of all while mixing in his love of cycling, gardening, his dogs and gadgets. Being the administrator and visionary of Timeless MedSpa, Karen sets policies, procedures, goals and seeks new treatments and procedures for Timeless's clients. After being in the wedding and floral industry for 15 years her call of nursing came back to aesthetics with Timeless MedSpa. Together with Dr. G, she put in a long-term plan for health and wellness for their central Louisiana clients. Her favorite treatments are Coolscuplting, intreceutals oxygen facial and the cool lift. Her favorite injectable is keeping her lips plump. Karen's favorite procedure to perform is eyelash extensions and permanent makeup is her love. Another treatment Karen is happy that Timeless MedSpa offers is for those recovering from breast cancer can receive a new areola via micro pigmentation to help them get their lives back. In addition to loving what she does every day at Timeless, Karen loves anything gardening, cycling, and taking care of her rescue animals and horses. She is also a florist and has a green thumb. Brooke is one of our Licensed Estheticians on staff and also serves as the Body Contouring Manager! As the Body Contouring Manager, Brooke can give you a very distinct plan using COOLSCULPTING, VelaShape 3, the New Lipo, as well as body Wraps and other programs/treatments to assist you with losing inches and unwanted fat cells. She graduated from Aveda Institute in Lafayette La. She has been in the industry for nearly 2 years and since then has been with our Timeless MedSpa Team. 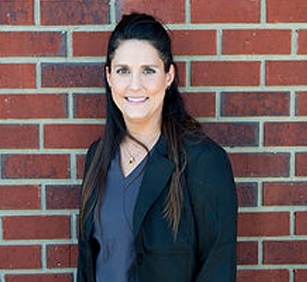 Brooke loves all of the services she is able to provide, but her favorite is Coolsculpting! Her hometown is Bayou Chicot Louisiana but she now calls Alexandria home and just recently celebrated her wedding day in Jackson Hole Wyoming! 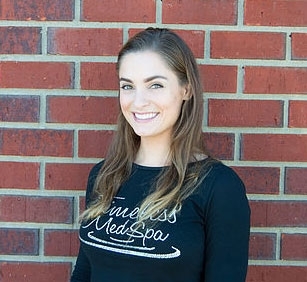 Brooke is the body contouring manager at Timeless MedSpa and she also preforms services for Microneedling, Astanza Laser/Hair Removal, Image, VelaShape, Sublime, and Sublative. Jonathan's hobbies include rescuing animals, new IT information and if you didn't already know, He is one of the biggest gamers around. 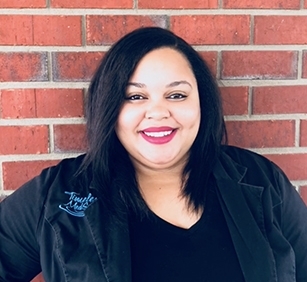 Valarie is a graduate of Aveda School of Aesthetics in Lafayette, Louisiana and is a Licensed Aesthetician who specializes in skin care treatments and skin tightening. Valarie will work with you to address your skincare needs and also is certified for our skin tightening treatments such as vela shape! Valarie is certified to do everything in the spa. A certified laser technician and a "jakie of all trades", Valerie can advise, perform or consult on any procedure at the spa to help you with your skin care needs. She is now married to Dillon Ford and is attending Lamar University in the Accelerated BSRN Curriculum Studies. However, Valarie still pops in and takes care of clients when there is a break from Nursing School. Her favorite treatments are the ones that help the clients the most with problematic skin as it always makes them feel better about themselves. Lara is one of our Licensed Massage Therapists on staff at Timeless MedSpa! She is also our Front Desk Manager. She has been in the industry for over 7 years and has been with our team since 2017. Her favorite service to provide is a deep tissue massage because it helps her clients relieve stress and leave Timeless MedSpa feeling re-energized! Lara is a Louisiana native and loves watching Who Dat Nation charge the field on Sundays! After being in nursing school for several semesters, Kat realized she wanted a more hands on approach to patient care and wellness. She pursued a career in aesthetics in New Orleans where she attended John Jay and completed their aesthetics program. Kat has been an esthetician for a several years now and truly loves what she gets to do daily. As soon as she received her esthetics license, she dove further into the field of aesthetics. She pursued an opportunity in Alexandria through Timeless MedSpa and learned the medical aspects of a spa. 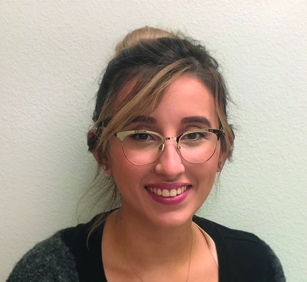 Kat is focusing on cosmetic injectables, product knowledge of our high-end skin care products, and is continually studying about other cosmetic procedures that are widely known throughout the states. Come see our newest esthetician on our Timeless team! Kat specializes in lash extensions, facials, waxing, and chemical peels. She also speaks fluent Spanish. 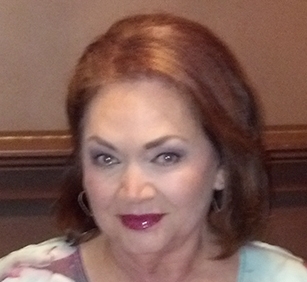 Linda has been a licensed massage therapist since 2004. She was a massage therapy instructor for over nine years. Linda enjoys helping people to feel better through various forms of massage and bodywork such as Swedish, Deep Tissue, Trigger Point Release, and Pre-natal. Linda and Lara work together when couple’s massages are requested. She is also interested in basic Eastern/Energy works of Chakra Balancing, Polarity and Shiatsu. 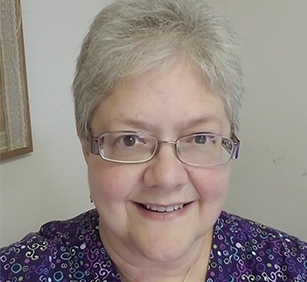 Linda enjoys reading, music, movies and learning about her chosen field. Appointments are preferred and the only way to guarantee your time. We make all appointments via the phone. Please call us at 318.448.6288. All services require a booking fee. All specials, injectables, and services over $50.00 require a $25-$200 non-refundable fees, but will go toward the cost of your service. Absolutely NO Exceptions. As long as you call in advance, 12 hours for injectables and 24 hours for all other services you will not be charged the booking fee. Yes! Please come by the spa or give us a call. We will also deliver the gift card, locally, for a small fee. Consultations can take anywhere from 15-30 minutes depending on which service you are inquiring about. Free! Except for any consultations with the doctor. The cost is between $40-$70. How old do I have to be to receive any treatments The Timeless MedSpa offers? You must be at least 18 and older to receive treatments at the spa or have a parent/guardian with you during treatments.